Slow stitching with hexies and micro fills. 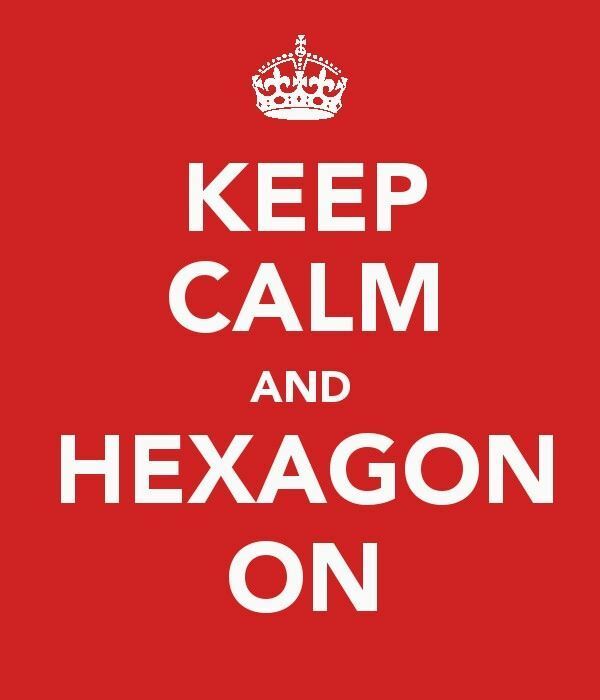 4 days until Chattanooga AQS QuiltWeek®. Rapid-fire post #4 is about the Slow Stitching Movement. Have you heard about it? It's the brainchild of crazy quilt guy, Mark Lipinski. Wanna learn more or be part of the Slow Stitching Movement? Get an overview in the "Welcome" blog post here. 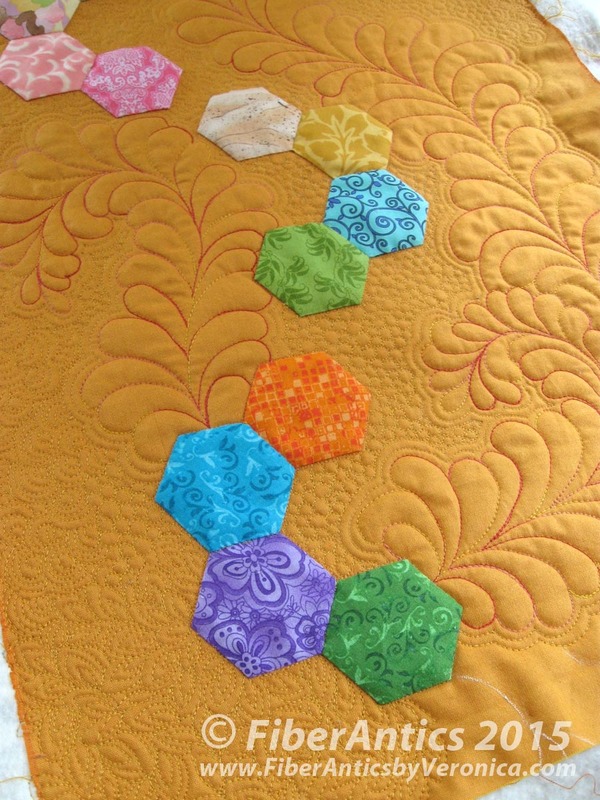 Here is a WIP [work in progress] photo of a slow stitching project—hexagons with free-motion quilting. 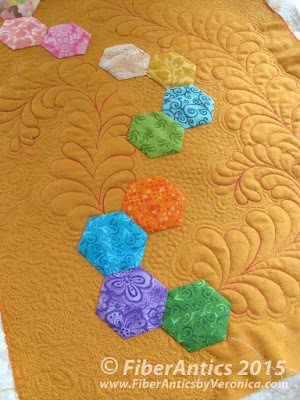 The hexies are pieced and appliquéd by hand (aka: slow stitching). And even though the quilting is by machine, when you do a lot of micro fills, it's not fast! My hexies are simple and minimal but they show quite nicely on this saffron shot cotton [Peppered Cotton] background. This piece is included in the Chattanooga Quilts Trunk Show I mentioned in rapid-fire post #3. If you wanna see some amazing, over-the-top hexie work, check out Katja Marek's magnificent pieces in this Slow Stitching blog post.